The redbud is a readily adaptable species that can tolerate many different soil and climatic conditions. It is fairly uncommon in the coastal counties, where most redbuds are planted as part of an ornamental landscape. 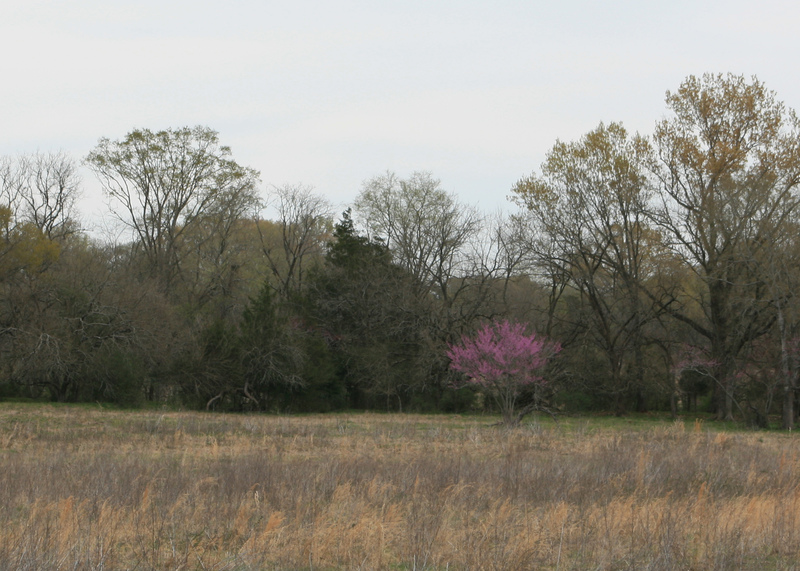 Redbuds are much more common north of a line drawn through Hattiesburg. First, you’ll spot native redbuds growing in the swales around creeks. As you move north, they become more common on flatter land. One of my favorite individual trees stands alone at the back of a field along Highway 45 north of Meridian. 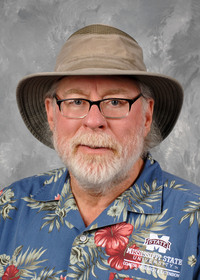 The flowers are gorgeous in the spring. Their color ranges from light, clear pink to purplish pink, and there are even several white-flowered selections in the nursery trade. The flowers are grouped in clusters held tightly against the stems and branches, a pattern called cauliflorous flowering. The colorful flowers along the stems and branches outline the branching structure of the tree. If you use your imagination, you’ll see various shapes, much like watching clouds. In fact, these trees resemble pink clouds from a distance. The individual flowers closely resemble pea flowers, and believe it or not, the flowers actually taste like peas. This fact isn’t too surprising, as redbud is a member of the legume family and even produces flat brown seedpods. When grown under optimal conditions, redbud is considered a small tree with the potential of reaching 15 to 30 feet tall. The general tree form has a short trunk and a rounded, almost umbrella-like crown. Foliage emerges after the flowering is finished, almost as if the leaves don’t want to interfere with the pink show. Leaves are heart-shaped and can be 3 to 5 inches across. They are glossy green in the summer. For best growth, consider redbuds to be understory trees. Planting sites with partial to full shade are probably the best, but I can think of several redbuds growing out in the full sun that are splendid specimens. I really like the selections with maroon-colored leaves. 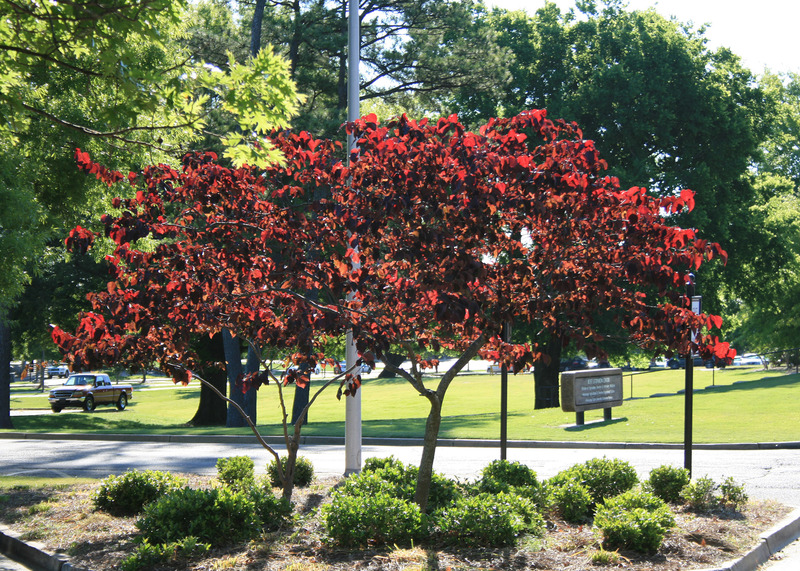 The color is so close to Bulldog maroon that they are planted all around the main Mississippi State University campus. One of the best selections I would pick for the landscape is Forest Pansy. This selection has heart-shaped, purple-maroon foliage with outstanding color when it receives morning sun. A question I’ve received concerns the flower color of redbud: “If the flowers are pink, why is it called redbud?” If you look at the flower buds before they begin to open, the origin of the name is apparent. 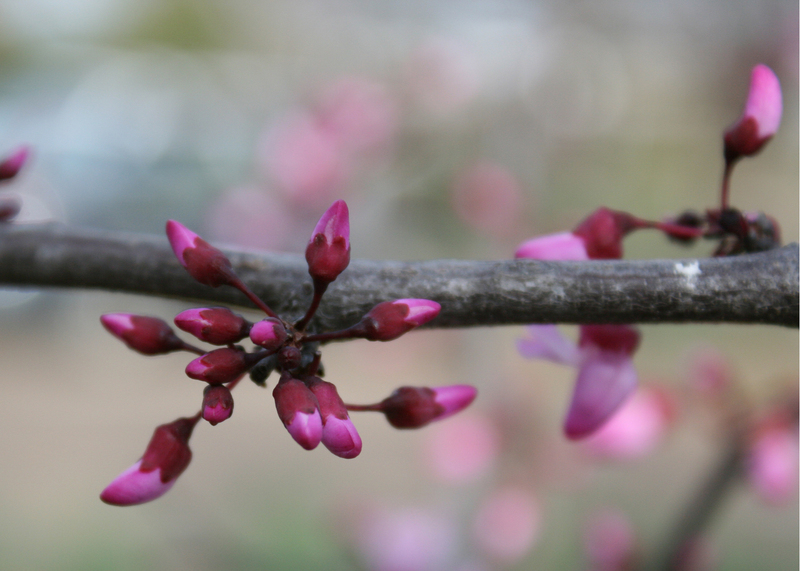 The outer layer of bud scales protecting the developing flower are a deep red, hence redbud -- not pink flower. Enjoy redbud’s color show this spring, and consider planting this native species in your landscape.